Playing along with a challenge at paperissues.com Head over there and see their challenges each month. The challenge you ask? It is called "What's going down?" Stay clear of top and middle section of your layout and focus attention on the bottom of your layout. The photograph of me was taken in Tauranga in New Zealand in January this year. I have used Distress Oxide inks to replicate the background of photo and a Kaszazz stamp called Hand Drawn Diamonds. I then decided to Zentangle those little diamonds. 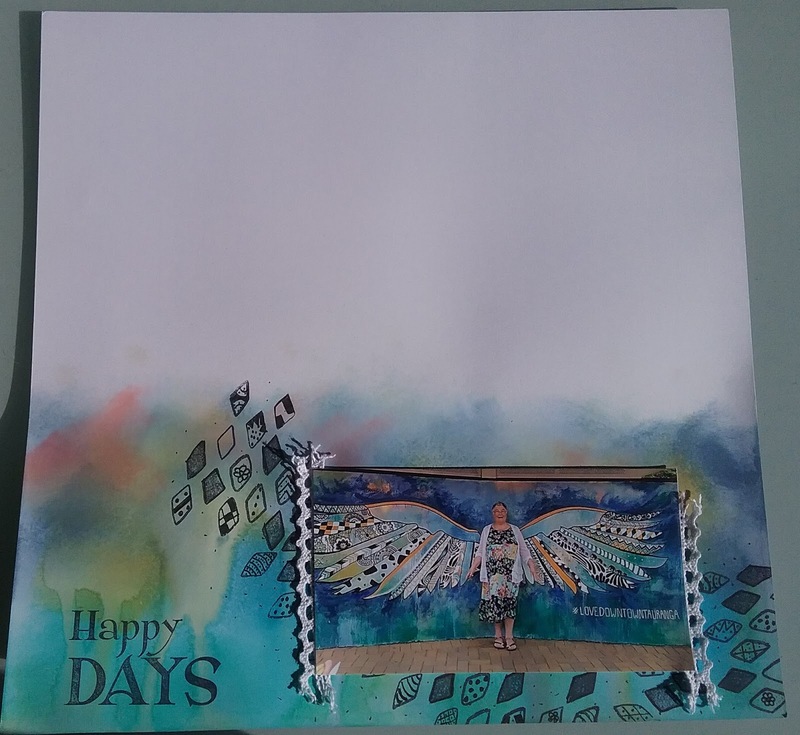 A bit of lace, Happy Days stamp and random dotting with my pen complete the layout. All products available from Kaszazz...email me if interested in purchasing.